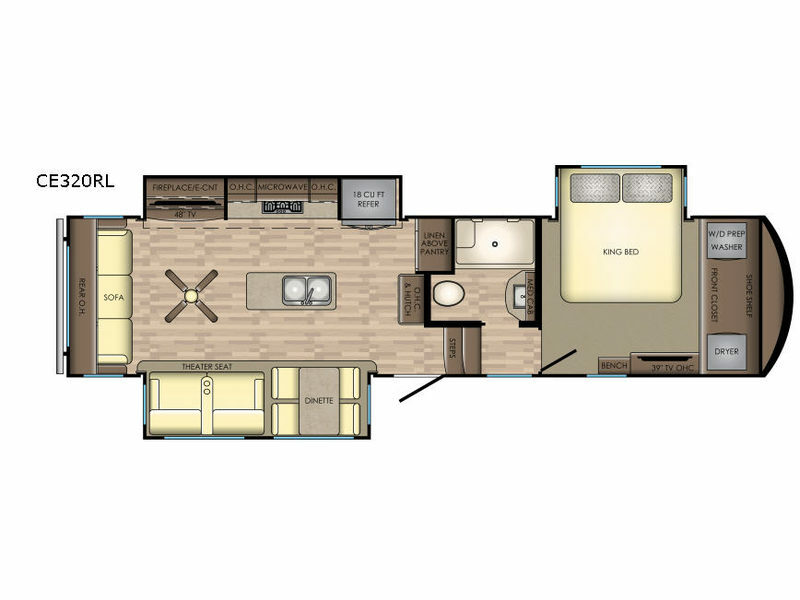 This CrossRoads Cameo fifth wheel is the perfect extended stay coach for two! With triple slides you will enjoy ample space for moving throughout. A large living area features a sofa and theater seating so it is easy to invite guests in for an evening to hang out. With the center island you can easily put out drinks and snacks for everyone to enjoy. The fireplace creates a cozy atmosphere on those cool chilly nights when everyone is snuggled inside for a movie on the 48" TV. When it is time to turn in for the night, you will find a full bathroom complete with everything needed before heading to sleep on the king bed provided. Here you can also take in a movie or two on the 39" TV found opposite the bed. This unit has been prepped for a washer and dryer so you can easily add the appliances for even more at-home conveniences. This unit is also available with an 18 cu. ft. RV refrigerator if you choose model CE3201RL. The Cameo lineup offers a variety of models to choose from to suit any RV lifestyle. From a unique rear corner kitchen to a variety of bunk models, and even one loft unit with a second private middle bedroom will have you feeling right at home. 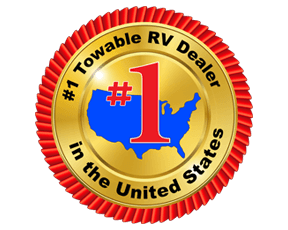 The great quality and craftsmanship that goes into each and every coach means your investment is protected and you will enjoy years of family camping fun! 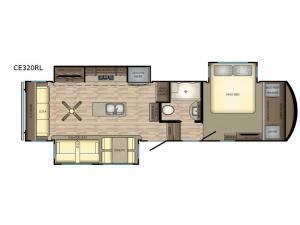 Each unit is backed by a 3-year limited structural warranty and features a full bath with skylight, a king size bed in the master, and handmade Maple cabinetry throughout. LED lighting offers a visually pleasing space during dimly lit daytime hours and evenings, plus the full functioning kitchen comes standard with a residential refrigerator, or an identical unit can be chosen with an optional RV refrigerator instead. The Cameo offers the largest I-Beam chassis in the industry and utilizes aluminum construction and steel trusses to provide you with a strong, quality built coach. These true-4 season fifth wheels, including a heated and enclosed underbelly, will provide comfort any time of the year. Come make your selection today!